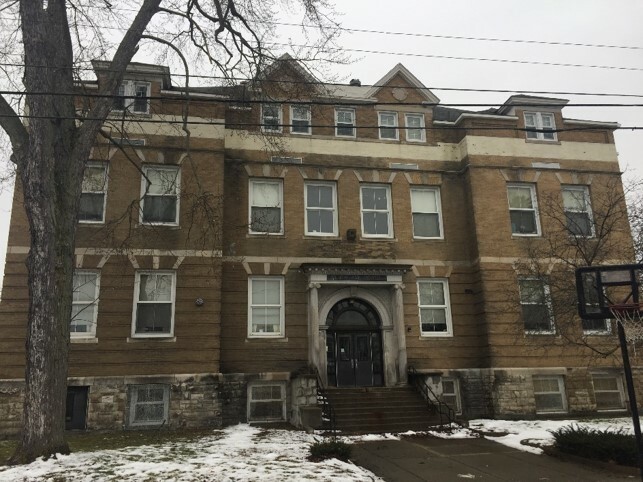 SCHENECTADY — A development company is taking a step toward purchasing – and converting to apartments – the former Elmer Avenue school. The school board Wednesday night accepted a letter of intent from CDREIT LLC, whose principal is local doctor and real estate investor Eric Moses, with a prospective purchase price of $450,000. Moses referred questions about the project to Sunrise Management and Consulting, a development firm overseeing the project. The Elmer Avenue building has sat empty since the Schenectady City School District adjusted its school boundaries in 2017. Sunrise was the developer behind the conversion of the old Draper School in Rotterdam to apartments. That facility opened to tenants in 2017. A representative at Sunrise did not answer questions about the project, but Schenectady County Metroplex Chairman Ray Gillen responded on the developer’s behalf. Gillen and Metroplex have worked with the school district to attract and show prospective buyers the empty school building. Gillen said Sunrise was an experienced developer with proven success in converting an unused school building into apartments, and that the project would improve the Elmer Avenue neighborhood while preserving the historic building, which was erected in the early 1900s.